Gone are the days where massage was considered a luxury had only by those going to the spa. Physicians and the public now recognize that regular massage has positive effects on all of our major body systems including the muscular, cardiovascular, lymphatic (immune), skeletal, nervous, respiratory, digestive, urinary, reproductive and the endocrine systems both directly and reflexively. Our body reacts to stress in three stages; alarm, resistance and exhaustion. First our body recognizes a stressful situation and our sympathetic nervous system kicks in. This is what you may know as the “fight or flight” response. During this response our eyes dilate, our blood pressure rises, and blood is shunted from the non-essential organ systems like the digestive system. When stress continues we use up many of our body’s recourses and over time our body’s weakest organ systems start to break down. This makes us more susceptible to colds, diseases and muscular dysfunctions. Our body is naturally designed to fight infections and ward off disease but consistent stress breaks down our defenses so that our immune system starts to miss the foreign invaders that it would typically spot and remove. When we don’t address and remedy the stress in our lives, stress will take over causing muscle tension, pain, and dysfunction which show up as low back pain, neck pain and headaches. Our body will experience cardiovascular problems such as hypertension, digestive issues such as Irritable Bowl Syndrome, and immune system weakening causing colds and diseases. The great news is that massage addresses all of the negative effects of stress! Regular massage can re-pattern our nervous and muscular system to address the muscular pain and alleviate stress and headaches. It’s been studied that regular massage can lower blood pressure. Additionally, when we receive massage we increase circulation throughout the body and increase the movement of the lymphatic fluid associated with the immune system which helps us fight off and prevent colds. So when you’re thinking about your own wellness plan consider adding regular massage. Adding stress relieving methods of self care like massage, yoga, and meditation not only help you “relax” but they make you healthier! Looking for something special for a birthday, anniversary or holiday gift? An MB Massage gift card is one gift they won’t want to return! I can ship it to you or the gift receiver. 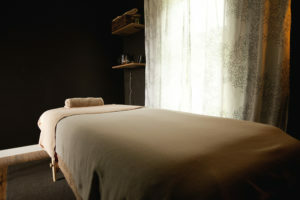 At MB Massage Studio she provides therapeutic massage to her clients as a holistic option for wellness and self care. Here at MB the massage session is designed to meet the needs of each client using the techniques that best suit the client’s indications. 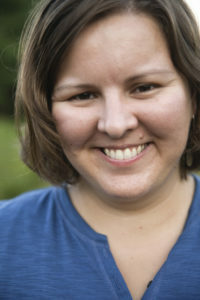 Missy is trained in Swedish, Neuromuscular, Trigger Point, Deep Tissue/Sports, Reflexology, Lymphatic and Circulatory Massage and is always studying and adding to her skill set. Your first visit to MB Massage Studio begins with filling out a health history form that Missy will talk to you about before beginning your massage. The health history helps the practitioner create an effective treatment plan for each client and to understand what the client is hoping to get from a session. This could be stress relief, pain relief or a general treatment to promote good health. You can download the intake form and office policy form and fill them out at home before your appointment if you wish. Otherwise you can complete this in the office. You should plan to be at the studio for 25 extra minutes on your first treatment so we have time to talk about your health history. All following appointments will be the normal scheduled amount of time. MB Massage Studio is located at 424 River Road, Westmoreland, NH 03467. It’s located approximately a little over 1 mile south of Maplewood Nursing home down River Road. Somewhat close to Poocham road. If you’re coming from Keene or Walpole via Rt. 12. Take Goodrums Crossing to Rt. 63. Take a left on 63 and then a right onto River road. Follow River road for about 2 miles. The destination will be on the right. If you passed Poocham road, you’ve gone too far. If you’re coming from the South (from RT 9 or Vermont) turn onto Brook Street towards West Chesterfield and continue on that road till you come to a stop sign. Take a left onto Main Street. That will turn into River road. Follow River road until you pass Poocham road, Your destination will be on the left in about 300 – 500 feet. Want to schedule an appointment? Contact me or call 603-283-8443. After arriving at MB Massage Studio park anywhere and enter the left door (the first door closest to River Road). Please enter quietly as there may be other massages in session. Inside the door you will find a cozy waiting area where you can relax before your appointment. There is also a restroom inside for your convenience. The studio is designed to inspire and add to the calming, healing and relaxing benefits of your massage. It’s a great way to show your staff that you value the work they do and their personal health. In addition this benefit is a great selling point to potential employees as well. If you are a business owner or HR/wellness director contact Missy to set up a phone consultation to make the arrangements to bring this great wellness benefit to your workplace. We can find a plan that will work for your business. Some businesses choose to pay for this service, some have their employees pay for this service, and others split the cost with their employees.